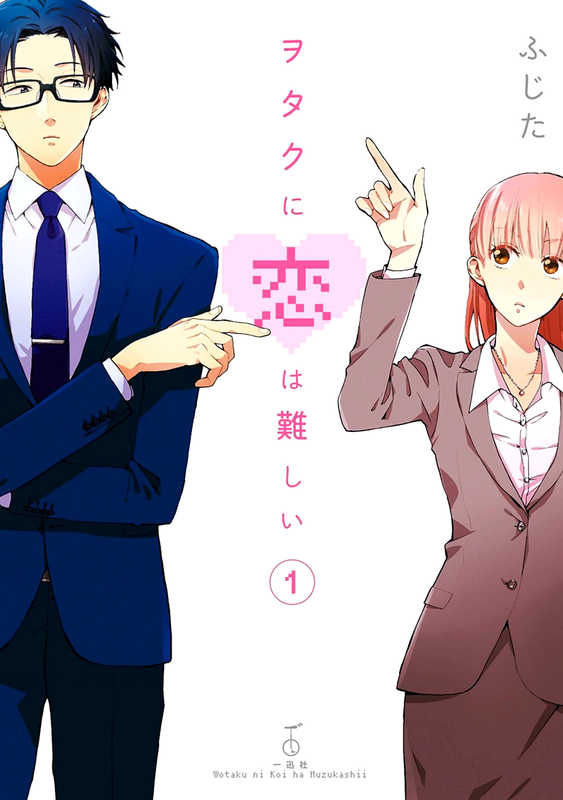 Wotaku ni Koi wa Muzukashii, translated as Love is Difficult for an Otaku, is a romantic comedy anime series based from the webmanga first published on Pixiv in 2014 by Fujita. 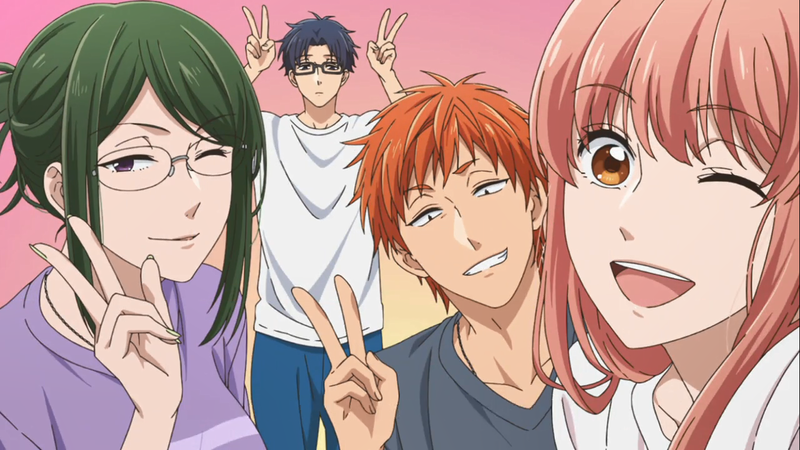 The series revolves around the relationships and interactions of four “otaku.” For those who do not know, the term ‘otaku’ refers to those individuals who are very passionate about anime and/or manga (A more detailed discussion on the use of this word can be found here). 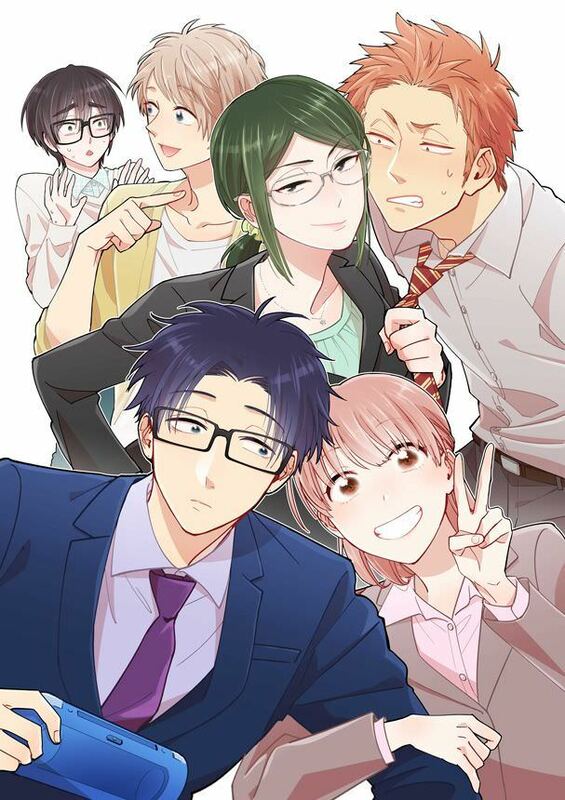 Consequently, we have Narumi (a fujoshi or a Boys’ Love fangirl), Hirotaka (a game otaku), Hanako (a cosplayer), and Kabakura (a part-otaku who’s into manga and games), who are all employees working for the same company. Although what drew me into reading the webcomic and eventually watching the anime was the art, the characters got me exclaiming “Oh yeah, that does happen!” in the situations they find themselves in, and I got engrossed in the plot of the series. 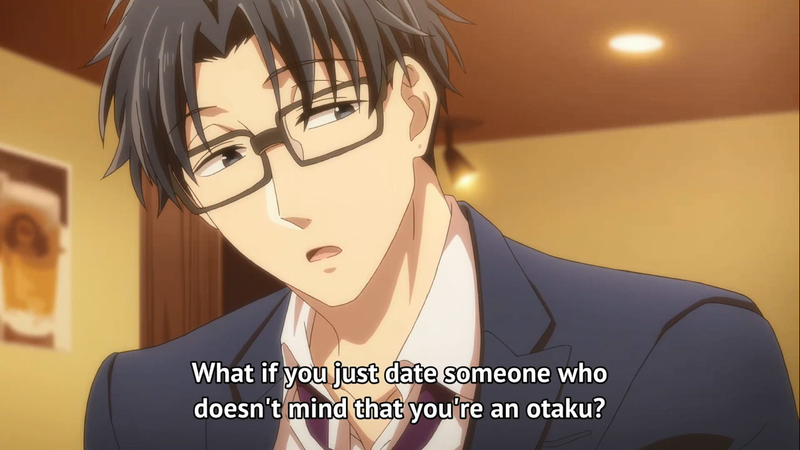 Let’s admit it– for us fans of anime and manga (especially of those series which are not very well-known), it’s not easy to showcase our hobbies or fandom to the people we meet in our everyday lives. We’re lucky if a person we just met says that s/he watched the likes of Naruto, Slam Dunk, Haikyuu, or Ghost Fighter on television, but very rarely do we meet a person with the same tastes as ours, or even people we could talk to about our favorite anime or manga (even in UP AME, you’d be surprised that our tastes in anime and manga vary a lot, and it’s fairly common for another member to not know about a series another member loves). Quite often, we resort to not talking about something we like especially if it risks turning the other person off. 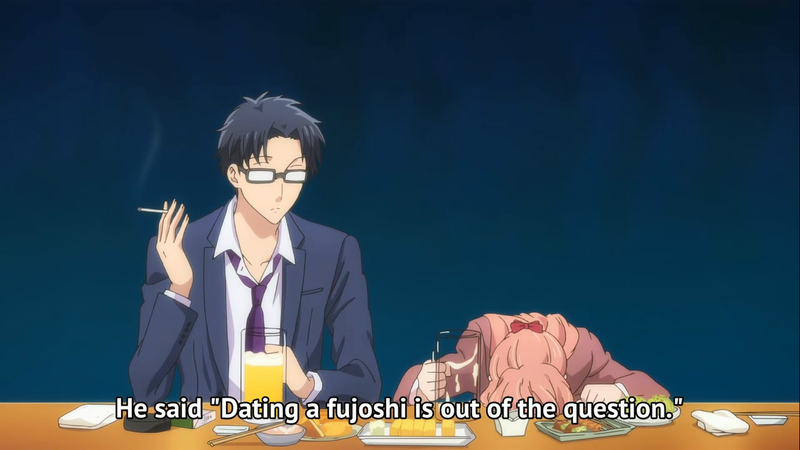 This was exactly the problem that Narumi was facing at the beginning of the series– she transfers to a new company and attempts to hide the fact that she was a fujoshi due a failed romance in her previous company when her boyfriend distanced himself from her after he found her out. 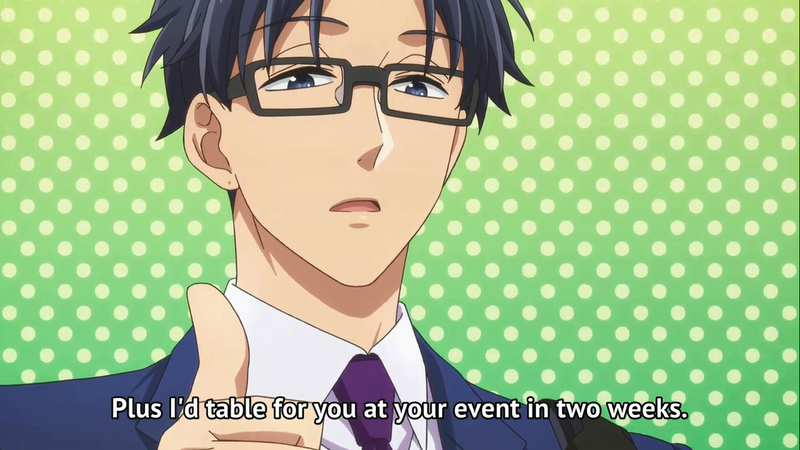 Her childhood friend, Hirotaka, who then happens to be an employee at the same company, then comes up with the idea that she might be more comfortable dating a fellow otaku who would understand and support her in what she likes, rather than make her hide what she’s truly passionate about. And thus started their relationship. Kabakura and Hanako’s relationship is also something you shouldn’t miss, since there is definitely more to them than what meets the eye.